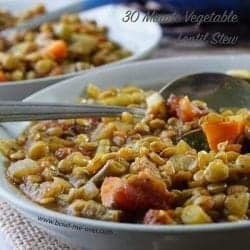 This 30 Minute Vegetable Lentil Stew is full of crunchy vegetables, lentils and it’s super easy to make! This stew takes only 30 minutes and it’s a healthy, hearty, delicious meal! Hey everyone! 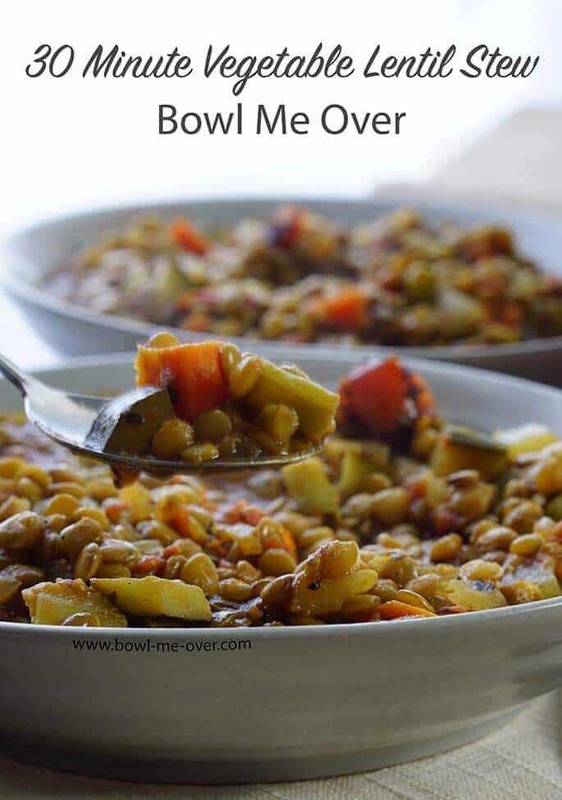 My name is Debra Clark and I blog at Bowl Me Over and I’m here today to share a recipe, thank you Cynthia for the opportunity! I want to start by telling you a little bit about me. Where did Bowl Me Over come from? 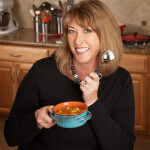 Well soups, stews and things in a bowl are staples in my home and because of that I decided to call my blog Bowl Me Over! I live in the Central Valley of California in sunny Fresno where weather is mild right now and summers HOT! I thought long and hard about what to share with you today. At first I was thinking a Buddha Bowl, then thought maybe a Teriyaki Bowl (both are super easy and delicious!) 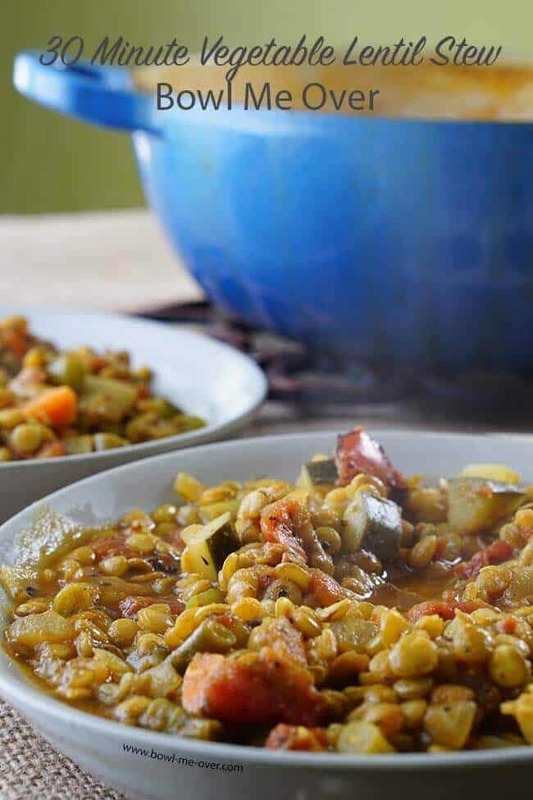 but decided to share my recipe for Vegetable Lentil Stew. 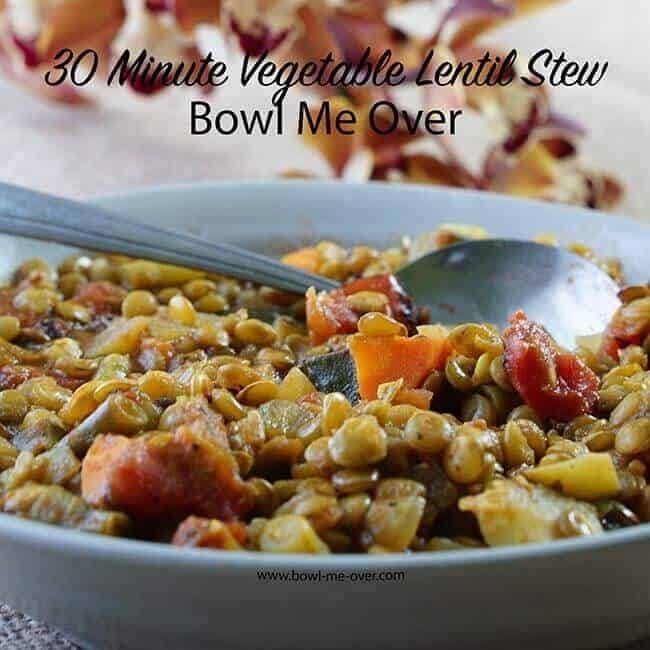 It is full of crunchy vegetables, lentils and it’s super easy to make! This stew takes only 30 minutes and it’s a healthy, hearty, delicious meal! Soups are my go-to meal. I can eat them all year long. 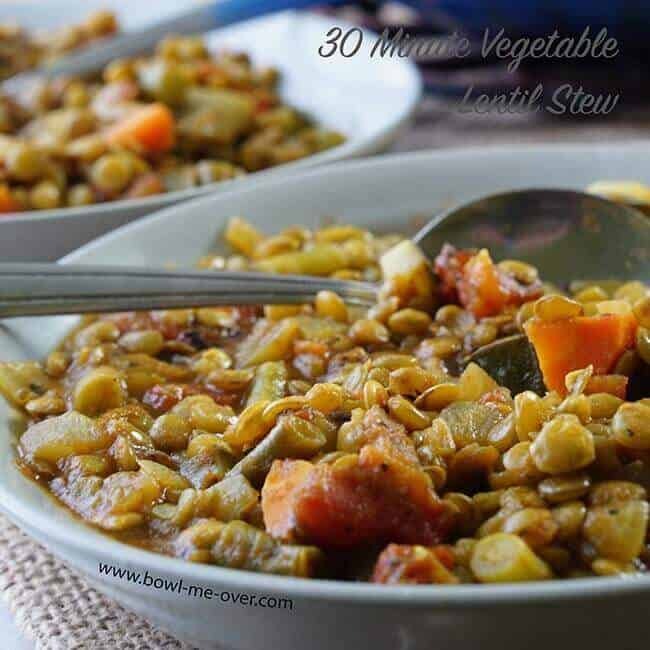 Vegetable soups are a great choice because they are affordable, flavorful and so delicious and this Lentil Stew checks off all of those boxes! If you enjoy this recipe, please check out my blog, Bowl Me Over! You can also connect with me at on Facebook, Pinterest, Instagram, Twitter and YouTube. Remove the bay leaf and discard. Add salt to taste (about 1 teaspoon). 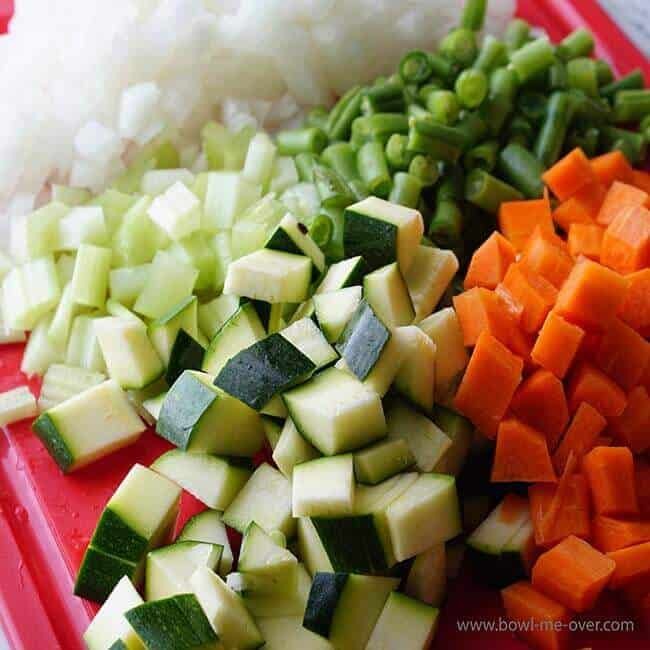 Finish with a squeeze of lemon and freshly diced parsley (totally optional) - adding these ingredients at the end brightens the flavor of the stew and is always a great finishing touch! Serve and enjoy!! Now add the canned tomatoes - juice and all. After this addition, scrape up all the bits on the bottom of the pan. You'll want all of that flavor! Add the vegetable stock next. Increase the heat to high and bring to a boil. After it comes to a good rolling boil, decrease the heat to medium and simmer uncovered, stirring occasionally. It will take 10-12 minutes longer, cook until the lentils are cooked thru. You may need to add additional liquid during the cooking process. Previous Post: « What Does Self Care Really Mean for Mom?